GORGEOUS VIEW OF LAKE MCINTOSH! Beautifully UPDATED home including kitchen with maple cabinets, granite & SS 5 burner gas stove w/ 2 ovens. Owners refinished hard wood floors on entire main level Jan 2019. Upstairs has 4 spacious bedrooms. 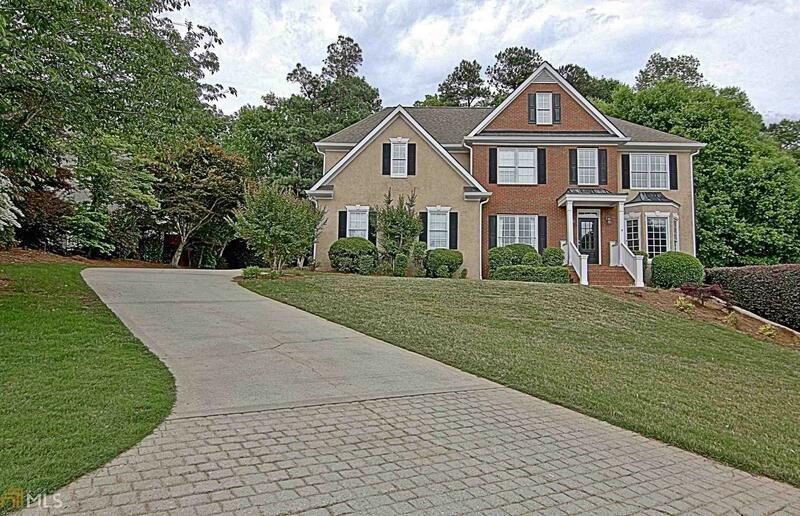 Owners suite has trey ceilings and updated master bath with walk in shower. Two bedrooms share jack n jill bath and 4th bedroom has own full updated bathroom. Terrace level has bedroom, full bathroom, family room, office /storage & craft room. Tiled floors in terrace level family room are custom. Two car garage PLUS golf cart garage & additional parking pad. Club Corp&apos;s Planterra Ridge Golf Course winds it way through Planterra Ridge Subdivision as well as Lake McIntosh is across the street. Year round views! Directions: From Hwy 74 South, Take A Right Onto Kelly Drive. Left On Terrane Ridge, Right On Crimson Way And First Right On Cimaron Park. House Is On The Right.